The shiny black feathers and orange bill and eye ring make it easily recognisable. 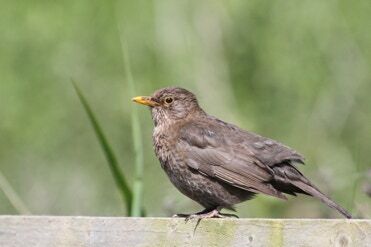 It is not uncommon to see an albino blackbird having a complete lack of pigment. Leucism or weak pigment is also common. They feed on earthworms and insects. They are 25cm in length with a wingspan of 38cm and weigh in at between 80 and 125g. 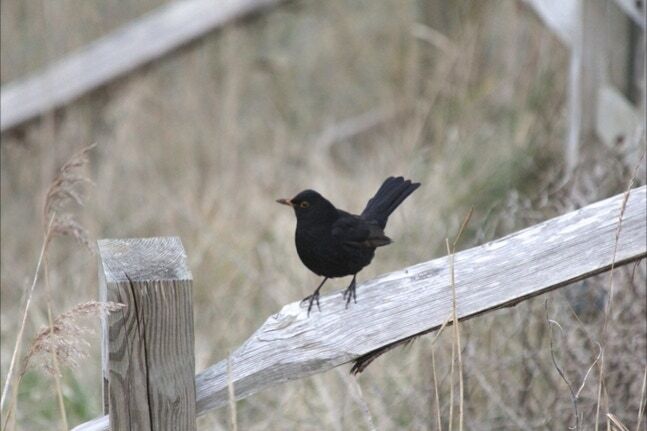 Male blackbirds live up to their name whereas females are brown. They only live for 3 to 4 years on average.